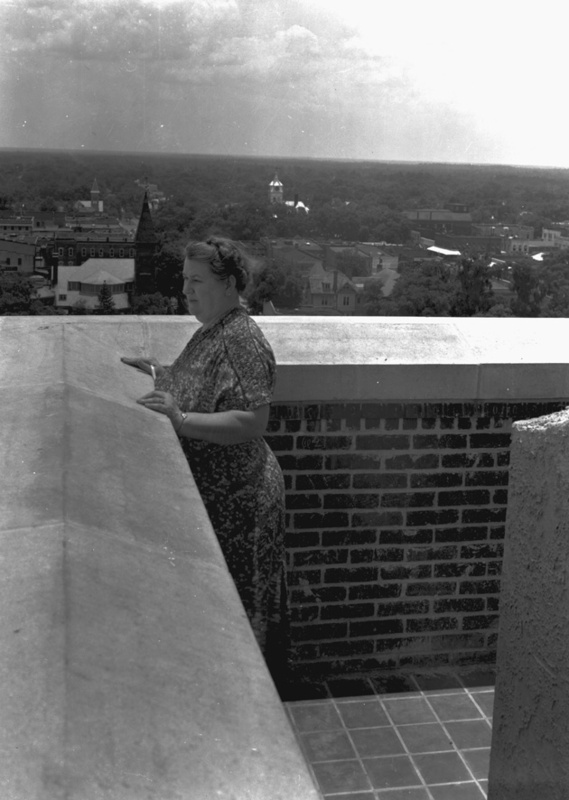 ﻿ Photograph of Miss Georgie Seagle from roof of the John F. Seagle Building, part of the University of Florida. Photograph of Miss Georgie Seagle from roof of the John F. Seagle Building, part of the University of Florida. Photograph of Miss Georgie Seagle on the roof of the John F. Seagle Building in Gainesville, Florida. The building became part of the University of Florida. Photograph 2669 from the University Archives Photograph Collection.